It provides a non invasive means of studying of the gallbladder and the billary ducts without the use of xray. Ultrasound offers four advantages over conventional OCG imaging. 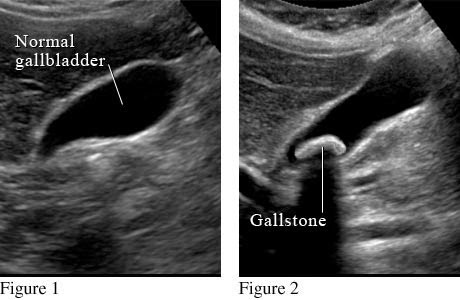 Sonography / Ultrasound (UTZ) can detect small calculi in gallbladder and biliary ducts that generally are not visualized during an OCG. No contrast medium is required with ultrasound. Therefore, this is an ideal alternative for patients who are sensitive to iodinated contrast media. Patient preparation with ultrasound is greatly reduced as compared with the OCG. For sonography, the patient should be NPO (non per os, "meaning nothing by mouth") 4 hours before the examination, where as patient preparation and contrast medium administration for an OCG can require 2 or more days to complete. Therefore, sonography provides a quick diagnosis for gallbladder disease, and the physician can make a surgical decision in hours rather than days.